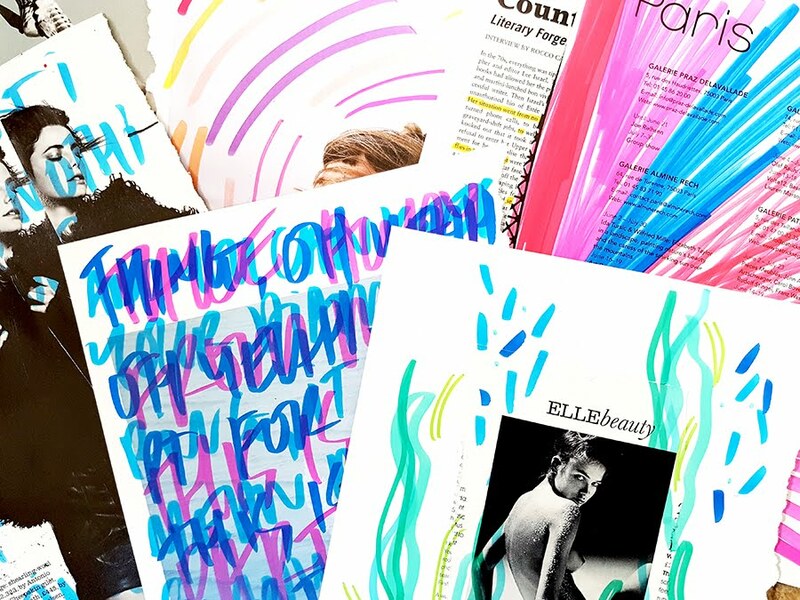 This project sparked from our mutual love and fascination with space and art journalling. 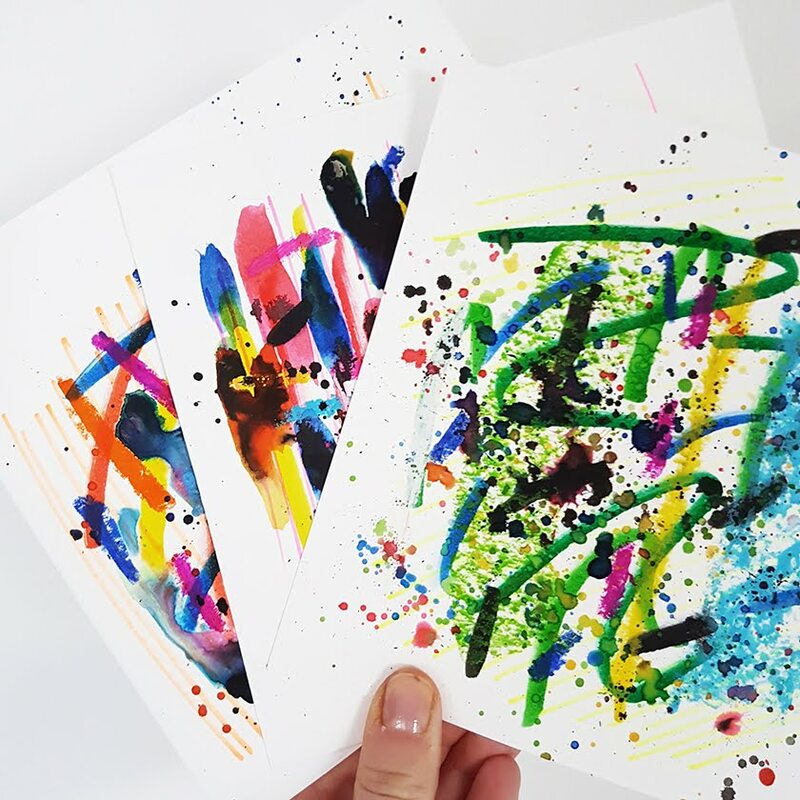 I think one of my favourite parts of being in such a creative community like Get Messy is the way ideas flow, grow and can be connected. We wanted to keep this zine a secret until we had completed all of our pages and until it arrived safely in the hands of it's keeper - Caylee. 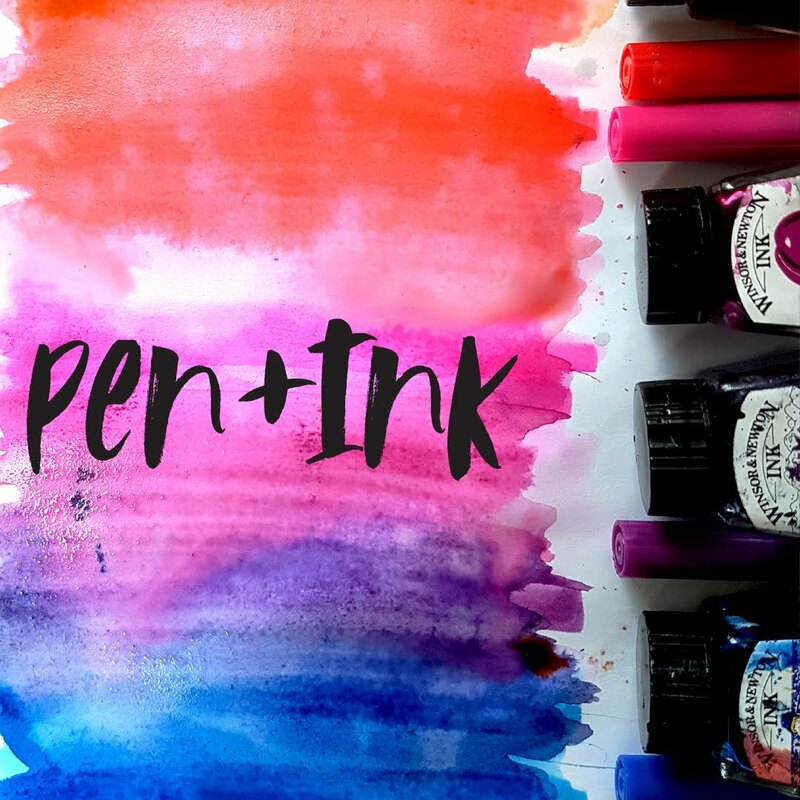 Caylee is one of the founders of Get Messy Art Journal and we wanted to celebrate how much we love the programme the only way we know how! 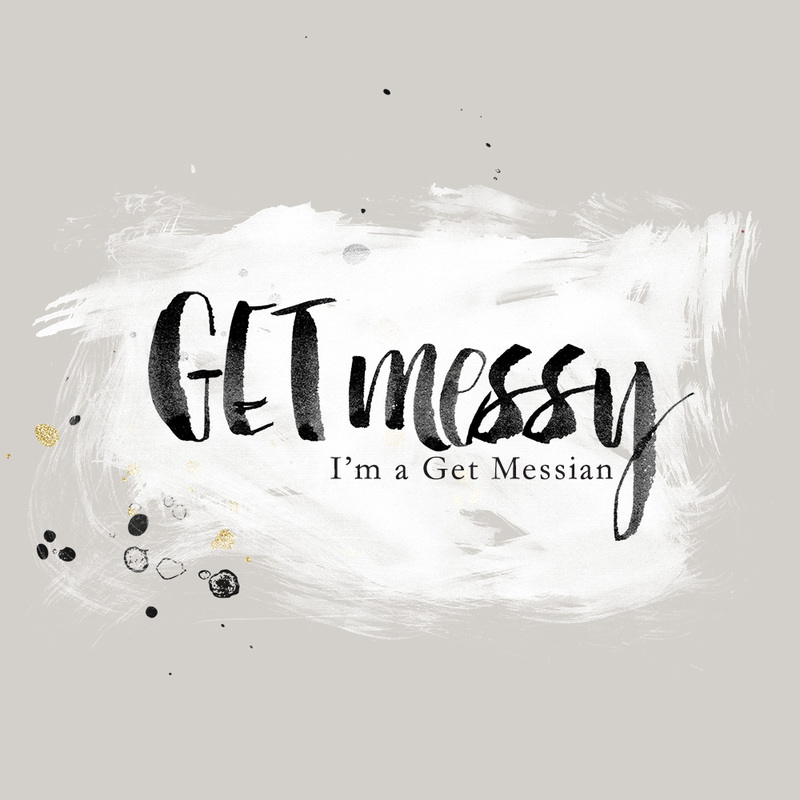 The other founder of Get Messy, Lauren, will have a little something on the way to her shortly and I'll share that here and on instagram once it is ready! 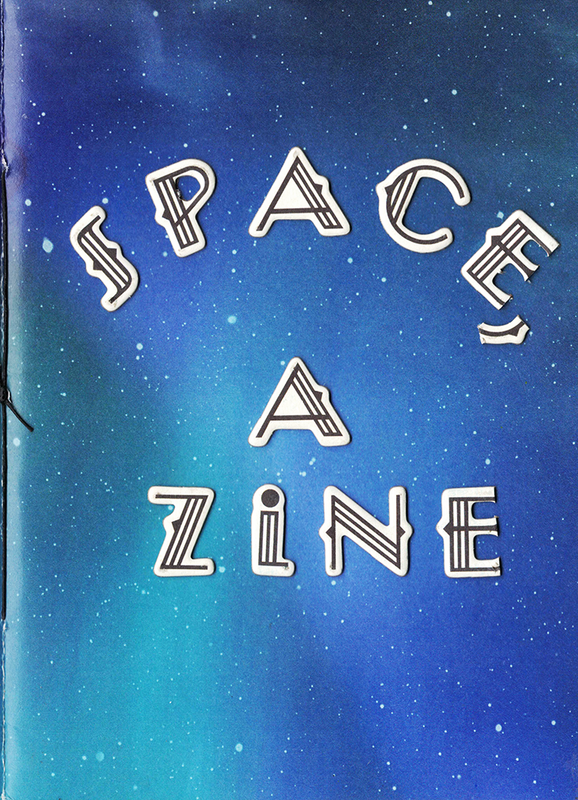 They are both sharing there pages on their blogs today so to get an idea of the complete zine, make sure to check them out ! After seeing this GIF, I knew I wanted to emulate it in some way. I love this page as it is quite simple for my style but is very effective. 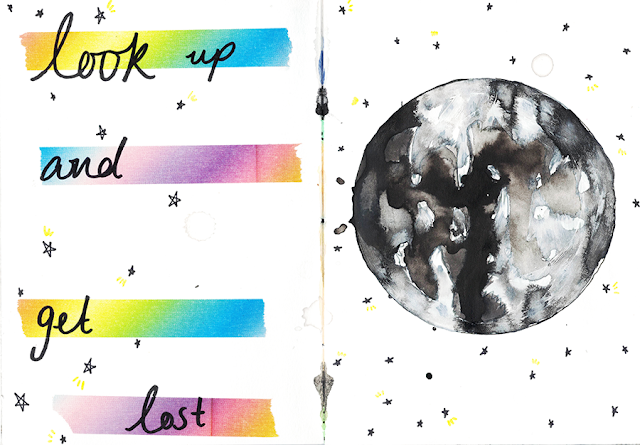 It makes me think of our view from earth and how looking up at the moon and stars can put everything in perspective. It is such a calming and humbling thing, to think of yourself in the grand scheme of the universe. One of my favourite 'techniques' is layering spray paint and ink. This kind of abstract style is what I live for - it just pours out of me so naturally. 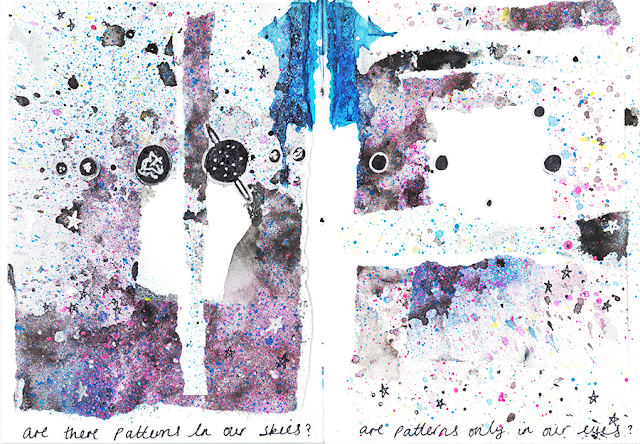 I created the background in one block piece and then tore it up and collaged it back into the zine. I then added our solar system planets (although these may or may not be accurate...) and the quote about patterns and the way we view things. I often think how cool it would be to see through someone else's eyes and understand that I have - like most creative people - quite a unique way of viewing the world! Ink and bleach. 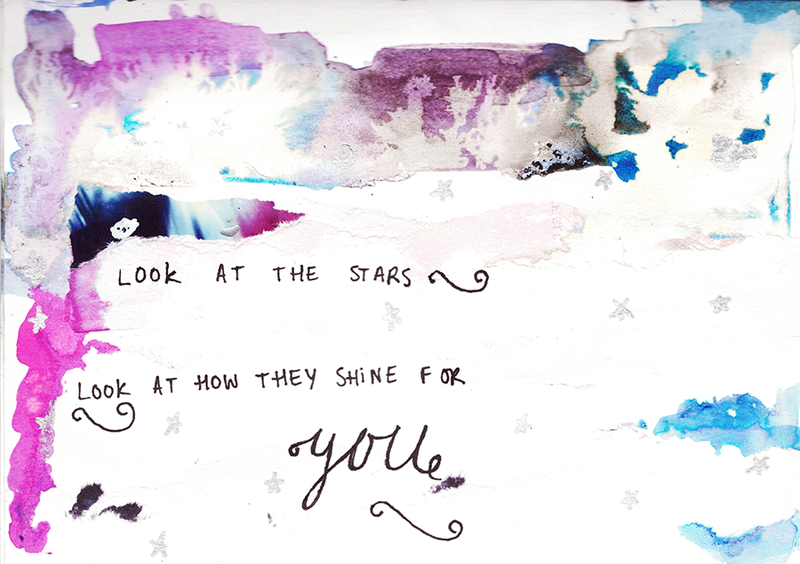 A coldplay quote. rough textures. When we started the zine, this is the page I had in my mind from the very beginning. It's natural, bright and galactic. Even though it has a bit of nothingness to it, seeing it makes my heart happy. I hope you enjoyed looking at these pages as it's something a little different from me. I'm so excited to share our next zine - it's killing me to keep these kind of secrets !!!! I am in awe of you three, and absolutely honoured to have been on the receiving end. PS: the stars one is my fave from you. Love hearing its background. You're so sweet <3 There's a story behind every page, right?! Your style is amazing, Julia and always inspires me! I think your work in this zine inspired some of my pages, for sure! What an amazing & beautiful thing to do - I love it & all the wonderful quotes...what a clever trio you are!